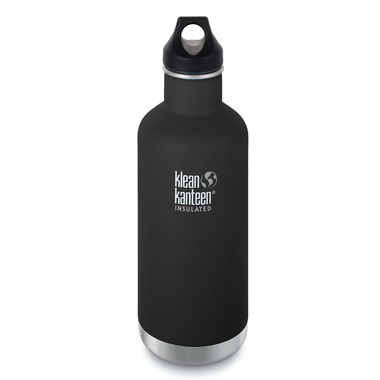 The Klean Kanteen Insulated Classic Bottle is based on the classic stainless steel water bottle combined with Climate Lock™ double-wall vacuum insulation, keeping drinks hot for 24 hours and iced for 90 hours! The new Klean Coat™ powder coat finish is 4X more durable, chip-resistant and safe for people and planet. Big bottle so donâ€™t have to fill it up all the time it keeps my drink cold/hot at all times!! Love this water bottle! I purchased it for it's large size so that I can keep hydrated during long work shifts. Love the insulation that keeps your drink at the temperature you want it!